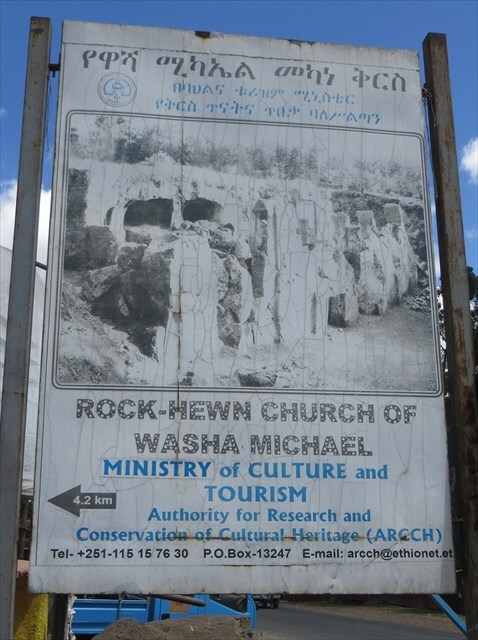 The Washa Mikael Rock-hewn Church can give you an idea of the special rock-hewn architecture that Ethiopia is famous for – and you don’t even have to leave the Addis Ababa city boundaries for it. The church dates back to the 12th century. According to orthodox tales, it was even already hewn out of the rock in the 4th century, by the twin kings Abraha and Atsbeha. The church is said to have been in use until 1885 when a part of the wall collapsed. Local elders also report that the structure suffered further destruction during the second Ethio-Italian war 1935 – 1940 when Italian airforce bombed the area that was considered to be a rebel hideout. St. Michael Church in the nearby Yeka area of Addis Ababa. The church is quite tricky to find. Coming from Kotebe, you take the Asmara Road and turn uphill at the turnoff close to the famous Beg Terra Sheep Market – there is the one and only signpost for the church (waypoint T1). This leads you to the newly constructed road connecting the Yeka/Kotebe suburbs with the Embassy Road. If you have an offroad vehicle, you can drive a bumpy road all the way up from the turnoff (waypoint T2) to the mountain top where the site is located. If you start by foot from the turnoff, it's an around 30-45 minutes uphill trek through a fresh eucalyptus forest. You can ask locals for the current-day Tekle Haymanot church which is just nearby on the same fenced compound. Entry to the Washa Mikael Church is 100 ETB for foreigners, 150 ETB if you plan to take photos. The fee is to be paid at the Tekle Haymanot Church. and make sure that the local youngsters do not see what you are doing! 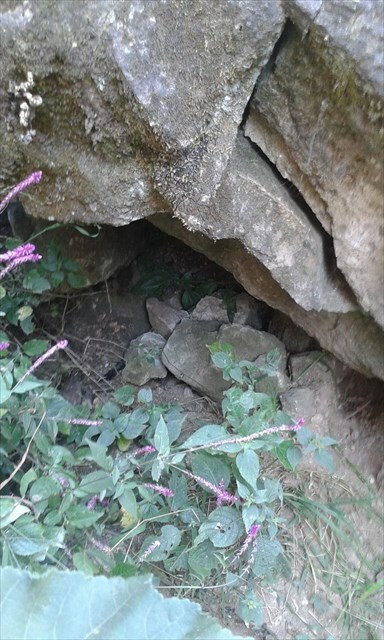 Indeed, as some finders have pointed out, the cache is inside the area of the church, as it was originally planned - yet, nowadays only the small 'caves' are being used for ceremonies. So the location should be still within the Geocaching parameters. Haqre guerr fgbarf haqre bar ovt fgbar.